In the half-dozen or so years I have been operating firearms oriented websites and forums I have noticed certain trends with shooters building and upgrading their AR15 and M4 platform weapons. Very often appearance is taking presidence over function in two key areas. These two areas are barrel quality choices and trigger selection. The barrel and trigger are two of the most important weapon parts that enable you to hit your target. Unless you spent several thousands of dollars on a custom or high-end AR15 chances are your trigger was designed by an attorney to protect a firearm manufacturer. In fact one manufacturer DPMS has publicly stated that they expect you to replace your trigger and that the included trigger is merely there so you can fire the weapon when new. The fact is you simply can not expect to get the greatest amount of accuracy out of your weapon with a factory trigger or the trigger included in a lower parts kit. REPLACING YOUR AR15 TRIGGER SHOULD BE YOUR FIRST AND FOREMOST PRIORITY before you spend a single penny on any other part. Now here is the downside of aftermarket triggers. You get what you pay for. However there is a law of diminishing returns. his means a $400 trigger is not necessarily twice as good as a $200 trigger. Will the most expensive trigger be better? You bet, but not every shooter needs a trigger THAT GOOD. If you can afford the best go for it you wont be disappointed. If cant buy what you can afford. DO SOMETHING. I break the triggers down this way. BILL SPRINGFIELD – Spend $50 and send your factory trigger to Bill Springfield for a trigger job. It’s better than nothing and he turns them around very quickly. ARMALITE TWO STAGE TACTICAL TRIGGER – At $97 it’s a good deal. Problem with the Armalite triggers is nobody bothers to learn how to adjust them so the triggers are often criticized. 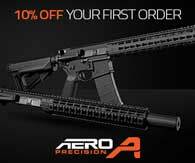 read the Armalite tech note here. ALG DEFENSE – This is new and unknown to me but they are getting decent reviews and priced slightly higher that the trigger job mentioned above. Got a few choices here. JARD TRIGGERS – I have a few AR15’s with JARD TRIGGERS. I like everything about these triggers except the installation. 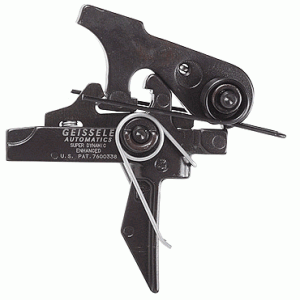 ARMALITE AR15 NATIONAL MATCH SET TRIGGER – See my comments above in the sub $100 section. These are great triggers with proper installation and adjustment. Read the installation Tech Note here. CMC AR15 TRIGGER – This is probably the ugliest modular drop in trigger of the bunch. What it lacks in looks it makes up for in performance. In fact the CMC AR15 TRIGGER is one of my favorite triggers at any price for the AR15 platform. JP RIFLES – JP Rifles produces a very good trigger. If you order one be sure to order the speed hammer as well as they are meant to work together. JP includes a video of the installation. That is a nice touch. GEISSELE SSA TRIGGER – The GEISSELE SSA is I believe the least expensive of the GEISSELE TRIGGERS. It’s a good trigger at a fair price. ATC AR GOLD – I ave no experience with the AR GOLD TRIGGER but I have a LOT of experience with the ATC SR GOLD TRIGGER for the 308 AR and AR-10 platforms. In fact the SR GOLD is my favorite trigger for the 308 platform. I would not hesitate to recommend the ATC GOLD. ATC/PACT has outstanding customer service. JEWELL AR15 TRIGGER – Unfortunately Jewell isn’t as good with AR15 triggers as they are with traditional rifle triggers. There are better choices. WILSON COMBAT TACTICAL TRIGGER UNIT – I have no experience with the WILSON COMBAT TTU as they are never in stock when I am looking for a trigger. As you see above there are options for every price point. Choose what fits your budget even if it means going without a new muzzle device, pistol grip, laser, tac light, or fancy collapsable stock or some other tactical gizmo that will do nothing to inprove the accuracy of you and your weapon..